Author at Vaux le Vicomte gardens in France. I’m sure I’m not the only woman to have fallen madly in love with a French man or the only one so smitten as to give up family, country and career to follow him to the city of love. Nor am I the last one to suffer a broken heart in a foreign city with no one’s shoulder to cry on. The first time I said goodbye to my Taiwanese mother, aunt, and grandparents was in June 2011. I was 26 years old, determined to seek new challenges and exert my independence to manage my own life. I headed for Hokkaido in northern Japan, a city I was familiar with from my student days where I learned to speak Japanese. During this longer overseas stay, I made a lot of wonderful friends from all over the world: Taiwan, Hong Kong, Japan, Singapore, the United States, France, Switzerland and New Zealand. Together, we spent many great times cooking and discovering the food and culture of one other. I also started to learn French. Happy moments with international friends in Japan. Photo courtesy of author. While searching for work, I received two attractive offers: one as a bus reservation assistant in a local travel agency and the other as a translator for traditional Chinese and Japanese tourist brochures. Both jobs paid very well and allowed me to save money for my next dream destination: France. 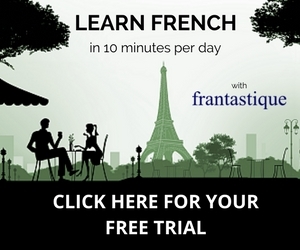 I worked hard and also tried very hard to learn French after hours at the Alliance Française Sapporo twice a week. Just as I wondered if my French would ever improve, my new motivation appeared in the form of a charming and energetic French man. I didn’t expect at all that I would fall for him at first sight! He was a backpacker, planning to stay in Japan for only one month. He not only displayed a taste for good food but exuded an alluring behavior that I imagined typical of French people. He was cultivated and I couldn’t help notice that he often stayed in the living room the entire afternoon with just a cup of coffee and a book. His casual and open demeanor impressed me a lot since it was rare to see this from other people in the house where I was living. He loved reading and cooking and knew well the different cultures in Asia. We quickly became friends and before I knew it, he returned to Paris. But we kept in touch by email. I was determined more than ever to go to Paris after my one-year stay in Japan, to pursue other possibilities in life. On September 27, 2012, my plane landed at Paris Charles de Gaulle airport; it was my first time in Europe. There are no words to express how excited I was to see my dream life become a reality. Yes, I came to Paris, not only for him but also for my future career. I applied for an MBA program in hotel and tourism management to make good use of my professional experience in Japan. At the same time, I took night courses at Alliance Française. I strongly believed that if I stayed in Paris for at least another two years, the relationship between us could blossom. But the truth is, I was way too naïve. Shortly after I arrived in Paris, I realized that what we each wanted was very different. I was looking for a stable and lasting relationship; he was not. He was younger and probably still thinking of the many possibilities with other women. Had I not been warned about dating a French man? Perhaps he felt pressure from me, a crazy girl who came to Paris on impulse but without knowing much about him. View from author’s Parisian apartment. Everything was over by May 2013. I fell into the saddest, most uncertain period of my life, and even started doubting if I had made the right choice to give up everything I knew to come to Paris. Four years have passed and I am still in Paris. I did not return to Japan. Since that painful heartbreak, I turned my attention to my life in France to cheer myself up. In 2014, I completed my master’s degree and an eight-month internship in a travel agency. I was very lucky that the agency where I worked wanted to apply for a work permit for me. With the enormous growth of Asian tourists nowadays, the French market needs someone who speaks Mandarin, English, Japanese, and French. This new opportunity came at the right time in my life! Now, in July 2017, I am no longer a heartbroken girl who focused too much on the wrong person, but a woman who is confident in my language ability and my professional experience. My busy life in Paris has brought me real friends. I hang out with people for drinks, travel a lot, attend theater and musical concerts, visit museums, read books and I date guys. Paris has opened my mind and liberated me, something I never felt when I was in Asia. Despite the occasional emotional ups and downs, I fully enjoy every moment in the city of light. For who cannot love Paris despite its flaws and broken hearts? It is a love affair filled with passion for life. Born and raised up in Taiwan, Daisy has always been passionate about languages. In addition to Mandarin, her mother tongue, she also speaks English, Japanese, French, and is now ready to learn Spanish. For her, language is the best way to make real friends all over the world and to know profoundly a culture. Today, she lives in Paris as a travel agent organizing unique trips for clients from Asia. Here in the city of light, she can pursue her discovery of more wonderful, unbelievable, and bizarre things to match better her true curious and open character. Hi Conniya, thanks for your comment! Also thanks for Nancy’s reply. It’s my first article for Inspirelle and always a great pleasure to have some feedback! Actually I didn’t emphasize that this is a story about an Asian woman. I only mentioned twice the word ‘Asia’ when talking about my job now in Paris and how Paris opens my mind. I understand that what I met is not a huge deal. It might happen on any woman in any corner of the world. I just simply shared my own story which connect me with Taiwan, my hometown, Japan, and France. Even it’s just a tiny issue but it did change my life a lot. Still thank you so much for sharing how you thought! In the email newsletter, I don’t see the point of having to say “Asian woman in Paris” since the article has nothing to do with the fact that she is Asian. It’s not a huge deal, but always irks me since white people would never have to identify themselves as a “white person in paris” if they wrote this same article. Maybe proofread a bit more carefully before sending! Daisy shared her personal story. Like many international women, myself included, she gave up her family, friends and country to follow someone in Paris with the hopes that it would turn into a meaningful relationship. INSPIRELLE promotes international women who share their experiences. We often mention their origins, American, Canadian, Middle Eastern, Asian, etcetera to show we share many things in common living and working in Paris. It was never written “yellow woman” as you highlight “white woman”. It was never our intention for it to be interpretated the way you did. We hope you understand that. We are very proud of our highly diverse editorial team. And we thank Daisy Chen for sharing her Paris story.